Earlier this year, Mexican taquerias hit the city with eateries like Guzman Y Gomez and the Burrito Bar. 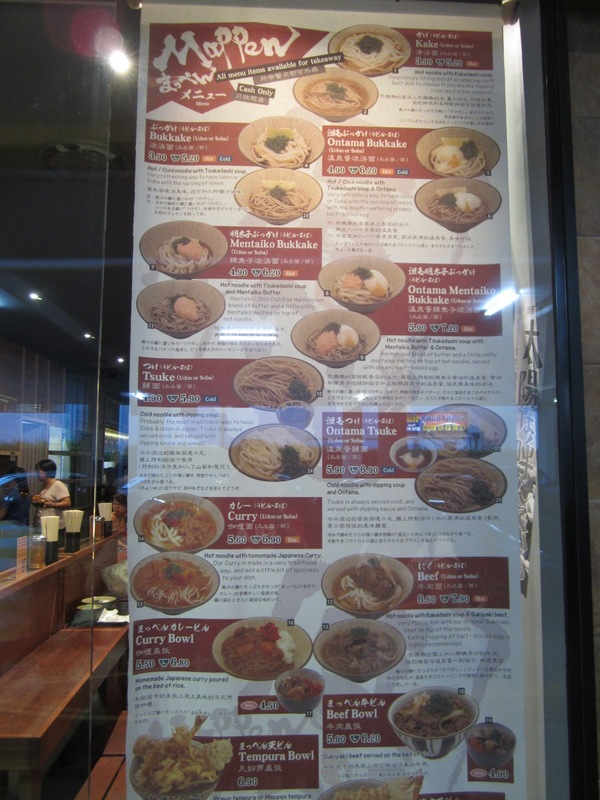 Now, the latest craze is on Japanese noodle shops. 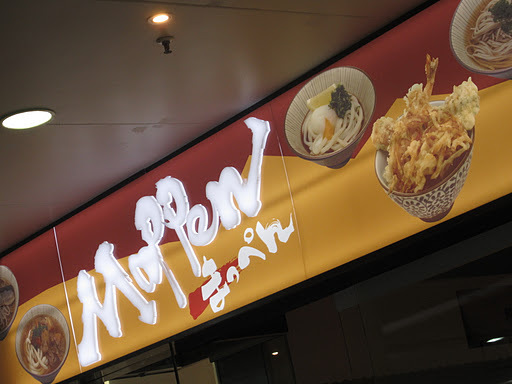 There are 2 noodle shops located just outside Sunnybank Plaza: Hakataya Noodle Shop and Menya Mappen Noodle Bar. They are almost impossible to miss if you are in the area – just look out for a big group of people queuing up and it will lead you to one of these noodle shops. It took us a while to study the menu at Mappen on our first visit. Most of the dishes looked very similar with only slight variations. 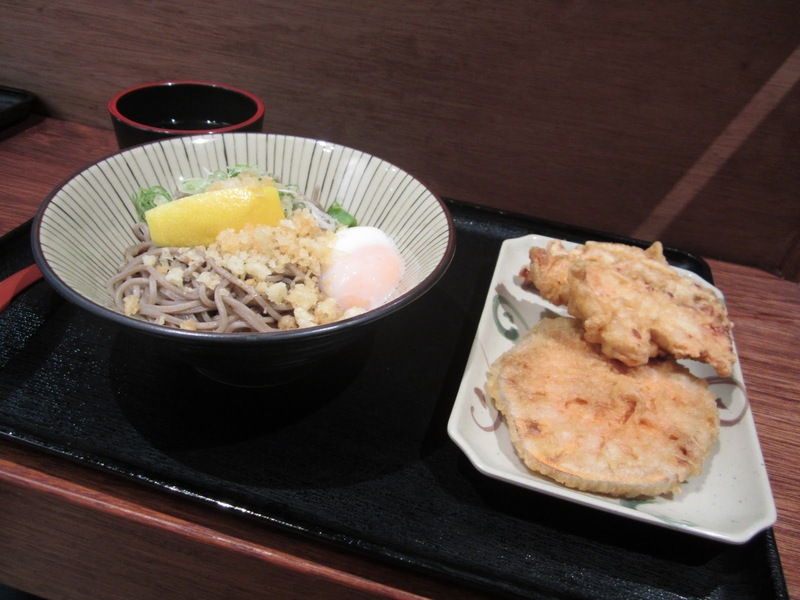 It is basically a choice between Udon or Soba noodles, soup or dry, hot or cold noodles and extras such as half-boiled egg, curry or sukiyaki beef. There is a Japanese curry with rice dish too, for those who are not interested in noodles. 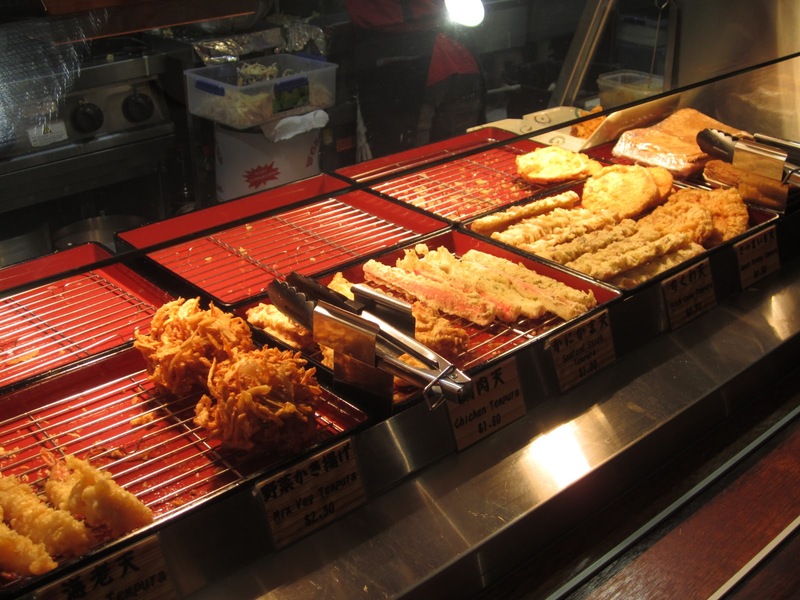 Once you have ordered the noodles, you can proceed to the self-serve tempura section. All items are individually priced, so you can get as much or as little as you want. Bear in mind that some of the items might be sitting on the counter for a while, so might be cold. I am not too worried about this as they provide hot tempura dipping sauce for free. The noodles are very tasty and I enjoyed the freedom granted by the self service tempura station. We ordered a relatively basic noodle dishes, complemented by tempura sweet potato, seafood stick fish cake and chicken- Yum. The dining experience is very casual with signs asking that you return the tray to the counter once you’re done. 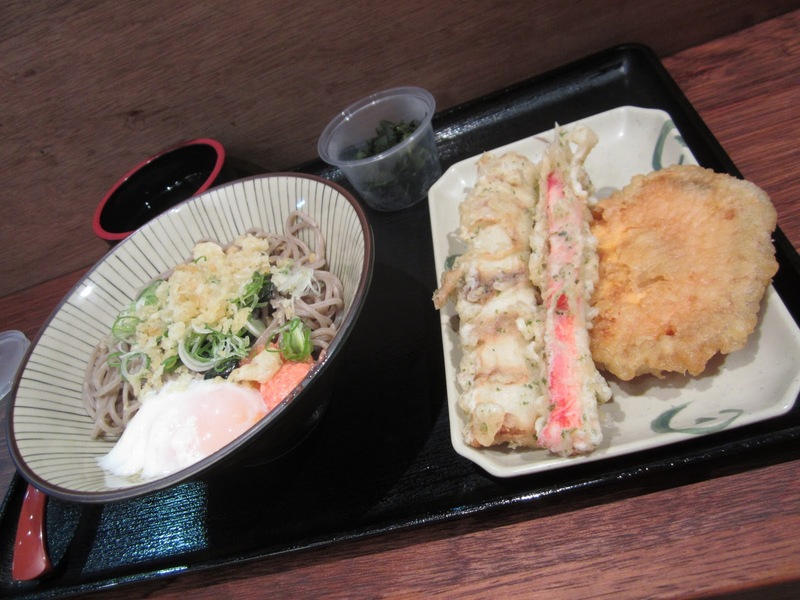 It’s like going to a private food court with quick and cheap meals – with noodles priced at around $5.90 and tempura starting at about 80c per piece. Overall, it was a fun dining experience and I will definitely be back.